Is mere beauty enough? What we want is 'aruL' - grace. Subrahmanya is the refuge of we, the sufferers. 'dhIna' - those that are poor, humble, suffering, scared. 'dhIna sharaNyAya - lAvaNyAya - SubrahmaNyAya' - similar sounding – edhugai or mOnai or something in Tamil - it is edhugai only but edhugai on the ending of the words rather than on the beginning. 'yAya' - andhya prAsam - 'to Him' (fourth vEttrumai). It is usual to go back to the first line with a fast 'manasija kOti kOti', after beginning in slow tempo - chowkha kAlam or vilamba kAlam. Vilambham - a nice Sanskrit word. I prefer this word to 'chowkam'. Slow tempo, giving scope to the musician to explore the raga's various nuances, is a hallmark of Dikshitar's kritis. And the majestic Sanskrit language helps too, creating the impression of a grand elephant procession. But aren't we all always in a hurry? By the mind and by the body? So we find such slow tempo boring after some time. And for this, Dikshitar provides relief with some fast movements at the end of most phrases. Madhyama kAlam comes as a relief to chowkha kAlam, as a piece of clove in a sweet-sweet laddu! In this kriti, both the pallavi and charanam have madhyama kAla endings. But in his most other kritis, we find madhya kAla phrases only at the end of anupallavi and charanam. Why? Subrahmanya is a vibrant young man (endrum iLaiyAi), so wants to go running right from the word 'go'! one whose lotus feet are worshipped by Brahmins and other people (add namasthE of the pallavi to this) 'bhUsurAdhi' - Brahmins and ...others. 'bhUsurA' - Brahmins. 'bhU' is earth, surA are devAs. And Brahmins are the 'earthly DevAs' as they, by their chanting and rituals, bring the blessings of the Devas to earth. We have already seen that Subrahmanya is the God of Brahmins (mahIdeEva is same as bhUsura). But is He the God of Brahmins only? Not so; He is the God of all people. Of his two wives, one is the daughter of Indra, the king of Devas, and the other, daughter of a tribal chieftain (suramagal and kuramagal). Some might say, He is a Tamil God (Dravidaswamy), and others that He is the God of Brahmins only - His name itself is testimony. But the truth is otherwise. There is no doubt that He is the God of all people. And Dikshitar takes this line only. We should all unite in the name of God, not fight one another. 'pUjithAbja sharaNAya' - to the worshipped Lotus Feet. Abja is lotus; 'Ab' is water and that which grows in water is abjam. We also call it jalajam, ambujam, sarojam, neerajam (jala, ambu... are all other names for water). Also vanajam - vana is forest. But does lotus grow in forest? But vana has another meaning - water. 'Kam' is also water - kamjam is lotus (eg. kamjalOchanE, kamjadhalAya dAkshi). vArijam, too, is lotus. OK, all I have tried to say is 'abjam' is lotus! merges with the Ultimate. Subrahmanya's weapon is the spear - 'vEl', also known as Shakti Ayudham. No other deity's weapon is as much identified with that deity, as vEl is with Subrahmanya. And His connection with snakes is apparent in more instances - if we see a snake in our dreams, elders tell us to perform Subrahmanya pooja for preethi. And Shashti Pooja to Subrahmanya is also done some times as Nagarjuna Pooja, in particular for Puthrabhagyam. Subrahmanya was born at the request of Devas who wanted a powerful commander-in-chief; and we pray to Him for puthrabhagyam! In Andhra and Karnataka, they do not have Subrahmanya idols in temples; rather, He is worshipped in snake form. You know a place called Subrahmanya in Karnataka - there also it is this way. Telugus fondly say 'subbarAyudu' meaning Subrahmanya as well as snake. Let us see if Adisankara has brought out this Subrahmanya-snake connection. (laughs) The title itself is 'Bhujangam'! Snake does not have legs, and uses its whole body as hands - bhujam, and moves about in a wavy rhythm. The 'chandas' similar to a snake's movement is called 'bhujanga prayAdham'. Acharya has sung bhujangams on many Gods, but when we simply think of bhujangam, what comes to our mind immediately is 'Subrahmanya Bhujangam'. On other Gods, He has also composed ashtakam, pancharatnam etc, but on Subrahmanya, only this Subrahmanya Bhujangam - may be to prove that Subrahmanya is Himself the bhujangam. Dikshitar mentions the famous snakes Vasuki and Taksha. Shashti Pooja is performed by worshipping seven great snakes. Vasuki is the snake who adorns the role of Nagaraja in Nagalokam. And when the Sea of Milk (pArkadal) was churned with Manthragiri, this Vasuki snake was used to tie that hillock. Funny, isn't it, a poisonous snake helping to extract nectar! Again, what is Subrahmanya's vehicle (vAhanA)? peacock, dire enemy of the snakes! Goes to show that, in His presence, all enmity vanishes. So too, elephants are mortally scared of lions - a 'simha swapna' terrorizes an elephant. But we have an elephant sitting on a lion! Heramba, one of the many forms of Ganesha, has a lion as His vAhanA. Or take Vishnu - His bed is a snake (Adishesha) and his vAhanA, Garuda, enemy of snakes! We are told the story that a snake eats the moon during lunar eclipse, but we have a snake and a moon adorning Shiva's head! Strange, again, are the Parvati-Shiva couple. Will a lion leave a bull go? But we have Shiva on the Rishaba (bull) and Devi on Simha (lion)! The philosophy behind all these is, all beings lose their tendency to hate (dwEsha bhAvam) at the Lord's sannidhi. OK, let us continue our 'vAsuki takshakAdhi' - some say Vasuki is the same as Adishesha; some disagree. Anyhow, Adishesha and Subrahmanya are definitely connected. 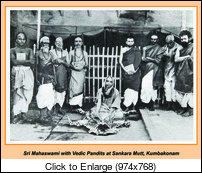 Venkataramanaswamy at Tirupati has much connection with Subrahmanya. The hillock Tirupati-Tirumala is also called Seshagiri, Seshachalam, Seshasailam. 'sarpa swarUpa dhara' Subrahmanya is Himself is the Tirupati hill. Or take Ardhanarishwara at Tiruchengode. Subrahmanya is also worshipped here, as He made the (united) couple into a trio - Somaskanda. This Tiruchengode is also called Nagachalam and Nagagiri, meaning the same as Seshachalam.